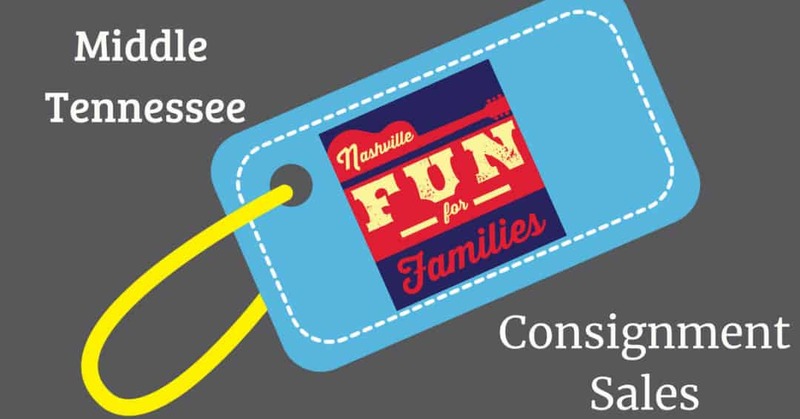 Consignment season in Nashville is upon us. Middle Tennessee is home to many sales in multiple areas. They range in length from a few days to a week long and are located in everything from small churches to large warehouses. Everyone can find a sale that is right for them. Typically, prices on consigned items start at 40 – 60% of original retail prices. Before you head out, read our tips on shopping a sale. Remember, each sale has it’s own rules for selling your used items. Check out our post on consignment tips and tricks if you decide to become a consignor. Sign up as a consignor to receive information on drop off dates at this link. March 30 – April 6, 2019 Hours vary each day – find complete schedule at this link. Drop Off – February 26 – 27 – Check this link for specifics. Drop off February 16 – 18, 2019. Register at this link. Drop off January 29 – 30, 2019. Find sign up information at this link. Public Sale Dates – March 1 -4, 2019. Find more information at this link. Drop Off – By appointment only on March 3 – 5, 2019. Hours vary each day – find complete schedule at this link. Consignor information at this link. Public Sale – April 12 -14, 2019 Full schedule and ticket information at this link.